I have a feeling sometimes that Belgium is frequently unduly forgotten when one is to decide where to spend the holiday. Let’s be honest: with all the tours that agencies offer for France, Italy, Greece, Spain…, rare are the ones who would consider the option of traveling to this Benelux country. And that’s a pity, because this gem of Western Europe is an exciting mix of Roman and German cultures, evident in all aspects of living, from arts and cuisine, to politics and public life. All the differences between the Dutch-speaking Flanders and the French-speaking Wallonia merge in the country’s capital, Brussels, making it the most versatile possible environment. No wonder it is the home of the European Union, NATO, and plenty other international organizations. It is the place you cannot skip if you want to feel the real spirit of cosmopolitanism interwoven with the small town grace. But, you might need help to move around from the central medieval square and its begonias to other attractions of the city. And by “help”, I mean a car and especially sports or luxury car rental Belgium. How to choose the right car in Brussels? I admit it’s not an easy decision to make. To blend in, you’d need something chic, yet inconspicuous – modern, but also classic. Therefore, Bentley Mulsanne would be a perfect pick! When you look at it, you’ll see a traditional Bentley design reminiscing of the ’50s; but at the second look, you might notice LED lights, satellite navigation screen, iPod connector… The interior gives an air of informal luxury, making you feel warm and cozy and almost wishing not to drive, but to be driven and enjoy the comfort. In order to illustrate the degree of ease, let’s just say that chairs can be adjusted in 12 different directions! Basically, the only disadvantage this car has is that it is likely to entice you to park somewhere and focus on your own pleasure, not the marvelous sights of Brussels. Our second suggestion for renting a car in Belgium would be Rolls-Royce Ghost. This is the upgraded version of the Phantom, with the lower cabin, higher driving position, and different control surfaces. It is the smallest Rolls-Royce’s car, but with a surprisingly vast interior. Just like its mascot, the Spirit of Ecstasy, your thrill for this car will appear each time you unlock it. We find it particularly suitable for exploring the country’s landscape and reaching other cities, such as Antwerp, or Ghent. The former, usually known as “the capital of cool” thanks to its vibrant nightlife, funky outing places, and festivities, will provide you with perfect opportunity to test the Ghost’s smooth engine. When you get to Ghent, however, you will probably be advised to explore the city by boat, which is, at the same time, the only occasion you’ll hear the same words from us. 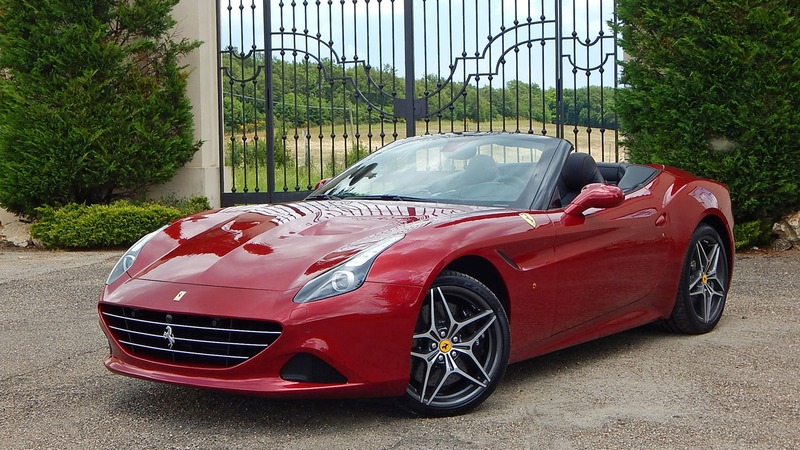 In all other circumstances book luxury car rental Belgium ELC service and Ghost will be your essential piece of equipment for relishing the beauty of Belgian social life. On the other hand, for all the others who prefer getting rest on vacations, making a road trip to Spa is a must! This picturesque town is located less than an hour drive from Liege (the second largest French-speaking city and yet another stop you should put on your map). Perhaps you didn’t know that it is usually referred to as the “Pearl of the Ardennes”, but I’m sure its name unmistakably tells you why we’re proposing this particular location for leisure days. Yet, apart from being a resort for centuries, Spa is also the home to world’s first casino, Grand Prix of Formula 1, and the Francopholies music festival. With all these contrasting aspects of the city, you might need something different than a limousine to get around. So why wouldn’t you opt for more edge and dare try Porsche Boxster? This two-seat sport convertible is ideal if you’re frustrated by the idea of having to put up with too many people and just want to relax with your best friend or your better half. It will make you look cool if you’re merely sightseeing, but it can sure make you feel like a superhero if you try to test its limits. Boxster can reach 100 km/h in about 5 seconds, so be careful when probing its performance. You can easily get carried away by its possibilities and forget you rented the car to make your stay in the country more pleasant, and not for the sake of driving. All in all, if you ever get the chance to visit Belgium, don’t hesitate! Pack your stuff and hurry to see what a charming, quirky, and friendly place it is with our luxury car rental Belgium services. In the meanwhile, tell us: which car of these three would be your first pick?